The mechanical attributes of plate gauge and relief of thermal, aqueous, solvent, and direct ablation plates can now be added to the FlexoEyePlus reports through a direct connection to the FLEXIGAGE DIGITAL MICROMETER. 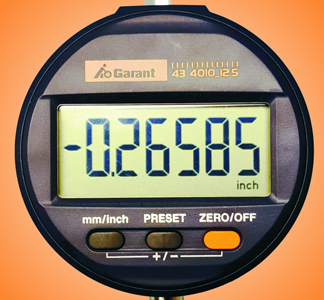 Use your existing plate gauge table or ours with our convenient Digital Micrometer to measure, record, and plot plate thickness. 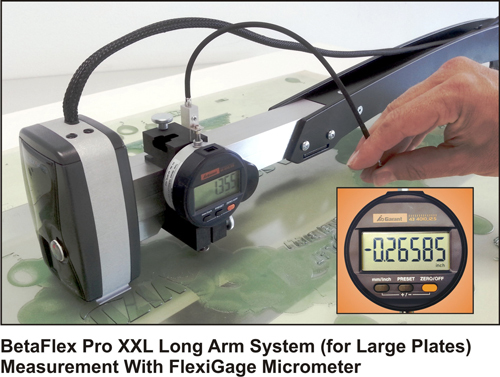 The FlexiGage Digital Micrometer is easily mounted to the standard BetaFlex Pro System or to the XXL Long Arm Adapter System to measure gauge and relief to on plates as large as 60 inches (1500 mm). 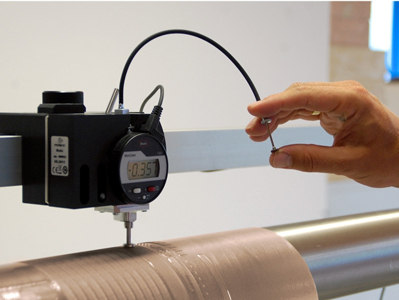 Not limited to flat plates, the Betaflex PRO sensor can be mounted on the optional Betaflex Sleeve Adaptor to measure translucent sleeves in 2D and 3D mode.Handling sleeves up to 80 inches wide and 16.7 inches in diameter. 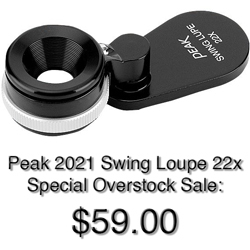 Measure sleeve gauge and relief with the Flexo-Gage option mounted on the sleeve adapter for total Quality Control. Add BetaFlex Pro FlexoEyePlus Software to conveniently record and maintain a database of all plates measured for printed reports and ISO maintenance.